The design brief for this 92 feet High Performance Yacht asked for a “Grand Tourismo Cruiser Racer” in the best Italian tradition. This requires a combination between a very fast hull providing high average daily runs (300miles +) and a ultra stylish interior which yet is seaworthy and durable. The yacht shall be able to cross the ocean and therefore opens up the Caribbean season for the owner interested to sail all year round. The Yacht will be build at “Maxi Dolphin Spa”. Maxi Dolphin is famous for super high quality carbon CR Yachts. 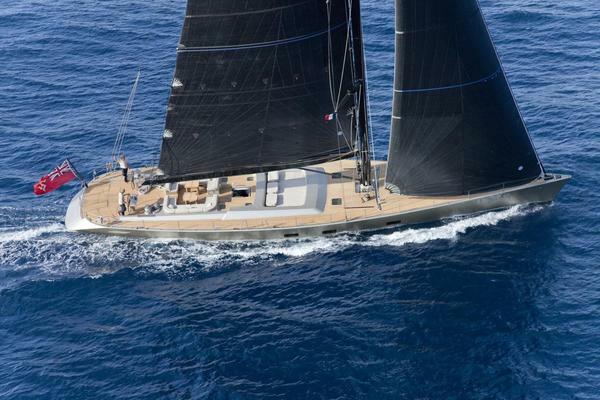 Thus the most deciding factor for a good Sailing Yacht - Weight will have the attention needed during the build process. With a designed weight of 46 tons she ways as much as some Carbon Production yachts with 80feet hull length The asking price is for a ready to sail vessel – including all pits and pieces , safety gear etc…This is a very attractive package for a performance oriented owner. United Yacht Sales New Jersey would love to guide you through a personal showing of this 88' Maxi Dolphin Md90 2019. This yacht for sale is located in Unknown Italy and priced at $9,500,000. For a showing please contact us by filling out the form on this page and we will get back to you shortly! According to owner's specification.Due to the high Gen Set Specification a "gas free" vessel is possible and a Induction Stove may be fitted. According to owners specification, Due to the high Gen Set Specification a "gas free" vessel is possible and a Induction Stove may be fitted.